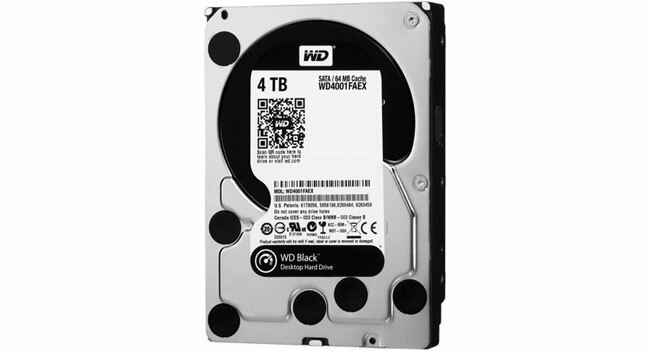 Western Digital Corp. announced a new hard drive model, which combines high capacity and high speed; in this case we are talking about WD Black 4TB hard drive. This model is designed for use in the performance gaming computer systems and workstations. The new HDD WD Black 4TB hard drive is made in the form factor of 3.5 inches. It has a capacity of 4 TB. Powered by the dual-processor, two-stage actuator, and 64 MB cache. Spindle speed is 7200 rev / min. To connect to the system interface is used SATA3 (data transfer rate up to 6 Gb / s). The device supports proprietary features and technologies IntelliSeek (optimizes search speed to reduce noise, vibration and energy consumption), StableTrac (improved motor mount system to reduce system-induced vibration), NoTouch ramp load (recording head does not touch the surface of the disk to provide protection). The new hard disk WD Black 4TB hard drive will go on sale shortly at a recommended retail price of $ 340, stay tuned for more updates and complete review of this high capacity 4TB hard drive.